Home/Switching to Solar/How Many Solar Panels Do I Need? It’s one of the most common questions we hear from our clients at the start of a solar project: How many solar panels do I need? We’ve got a two-part answer to help you decide. The answer to this question is largely determined by two things: how much electricity you use and how much electricity your solar panels will produce. The best way to figure this out is to look at your electric bill. Your bill should state the amount of electricity you’ve used over the last year. The amount will be measured in kilowatt-hours (kWh). You’ll probably notice that your energy consumption changes through the year. For example, it might be higher in the summer months (when the air conditioner is running) and lower in the winter. Ideally, your solar panels will provide enough power to cover your total energy consumption every year. But even if you’re using solar to cover just a fraction of your energy needs, you’ll still be saving money in the long term — not to mention you’ll be making a huge change in your carbon footprint. How much electricity will your solar panels produce? The geographic location of your home determines your “solar insolation” — in other words, how much sunlight can hit your roof. The energy your solar panels produce is measured in wattage. Urban Design Solar typically installs 260- or 265-watt panels, which means that your solar panels will produce up to that amount of wattage. 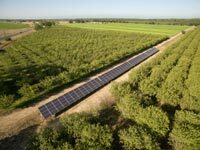 Solar panels are more productive when they’re facing south, east, or west. They work best when angled between 15 and 30 degrees (most residential roofs are within this range). And of course, you’ll get the best results when your panels have a direct view of the sun. The size of your roof is also important. The larger the roof, the more panels we can potentially install. We use careful measurements to decide how many panels will safely fit on your roof. But even if the conditions aren’t perfect, you can still get incredible benefits from your solar panels. 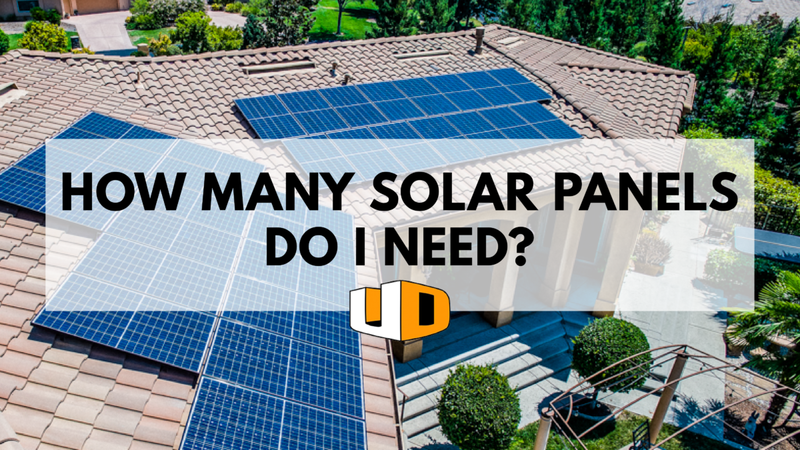 The easiest way to figure out how many solar panels you need is to contact Urban Design Solar for a free estimate. 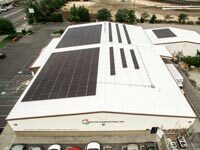 Every solar installation is different, and we’re dedicated to making sure your solar project meets your unique needs. Call us today at 530.809.1079.